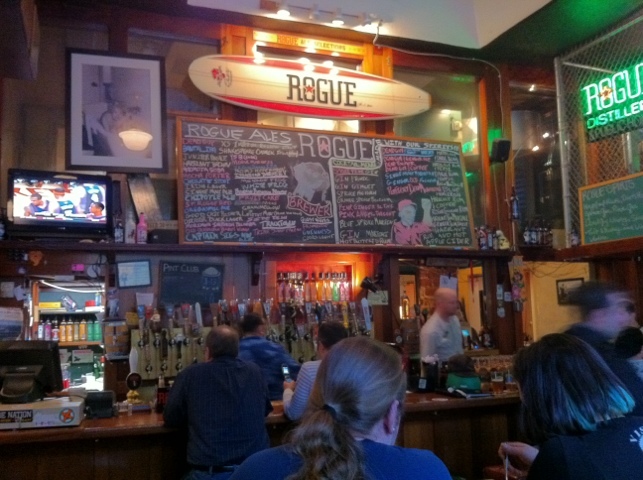 This place is what it is – sticky menus, sticky floor, sticky table – but we come for the beer and we love it! There are so many beers to choose from you may not know where to start, but don’t let the long list of brews hanging over the bar overwhelm you. 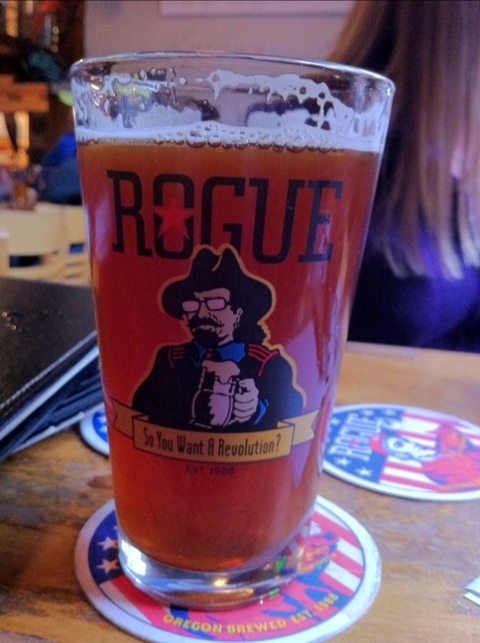 Ask the bartender or friendly waiter for a recommendation – we promise there is something for everyone. 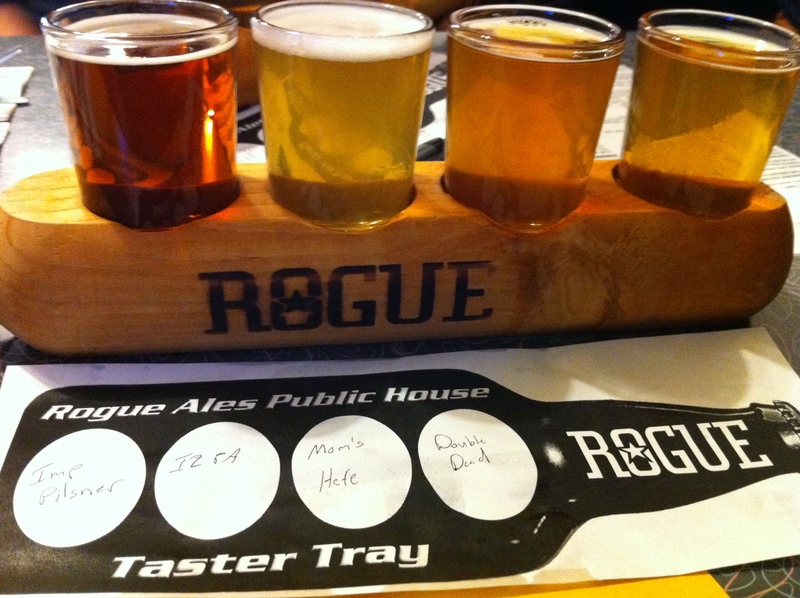 We would like to suggest starting with a sampler (or two) and trying several of there award winning beers. 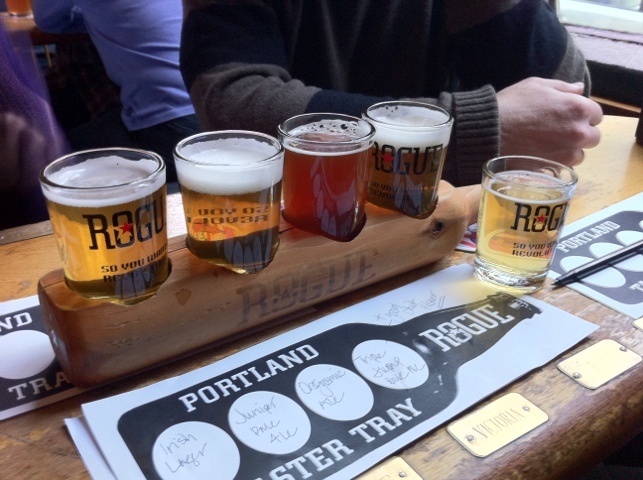 A few of our recommends: Rogue Irish Lager, Juniper Pale Ale, and Moms Hefeweizen. 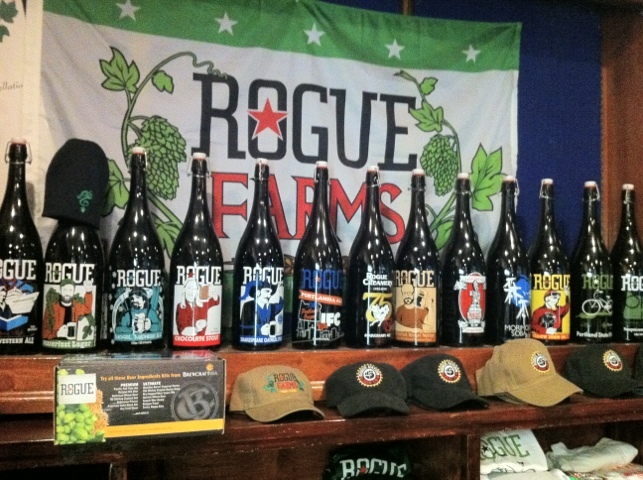 Don’t forget the OREgasmic Ale (2011 NW Champ, U.S. Beer Tasting Championship and 2010 1st Place, Great International Beer Festival…bonus points for the name). 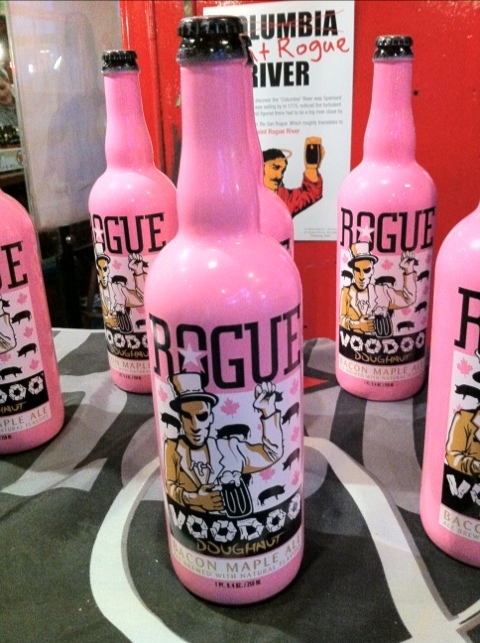 And what Voodoo Donuts fan can pass up the Voodoo Bacon Maple (available in bottles only). The food is usually decent, but not great – pizza, burgers, salads, etc (you know…your general pub fare). Good happy hour menu deals on food, but pints are $5.25 no matter the time, which isn’t great in our book (we believe all pubs should at least have a choice or two of $3 pints at happy hour and never more than $4.50 otherwise). It’s loud and crowded on the weekend, but quiet during the week. Picnic tables outside for the better weather months.